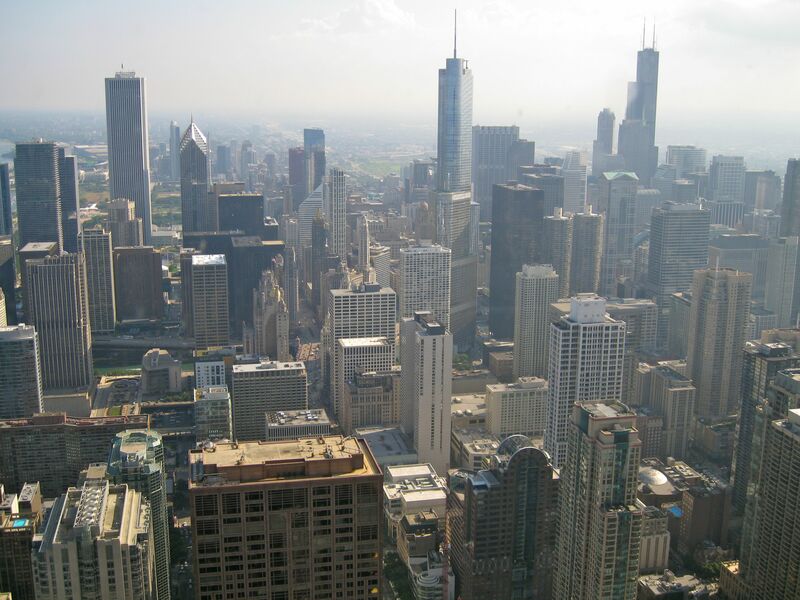 Chicago, Chicago… | Where is Yvette? 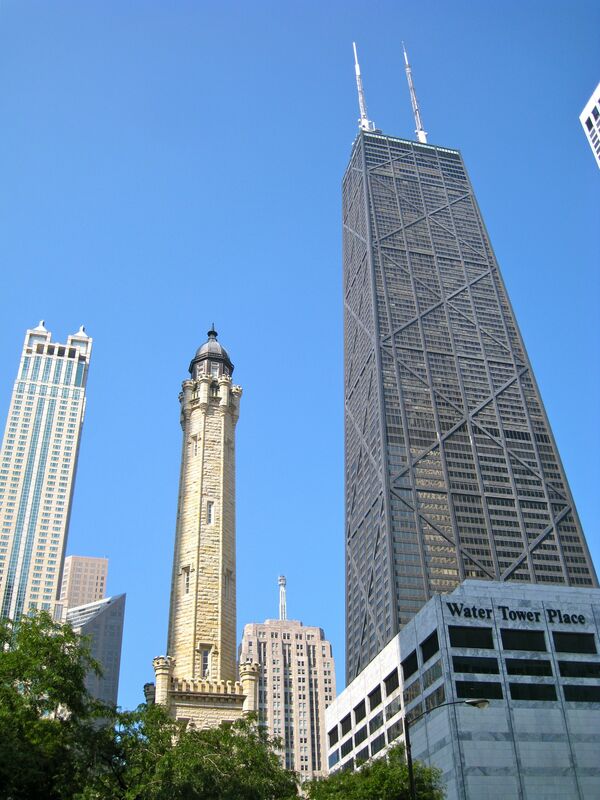 Tip #1 about Chicago: as a tourist it’s not worth going to the top of the Sears Tower (or the Willis Tower or whatever they decided to rename it). After all, why pay ~$20 when the comparably-sized Hancock Tower has a bar on its top floor where you can go for free and enjoy a cocktail instead? Sounds like a great deal to me, plus you get the Sears Tower in your photogenic shots that way! Also, it is worth noting that the women’s bathroom at the Hancock Tower has to be the most awesome bathroom view I’ve ever seen in my entire life- my proof is that the first picture in this post was taken there. I’m told that the guys do not get such an awesome view, resulting in shouts of gender discrimination from them, but the moral of the story is don’t miss it ladies! 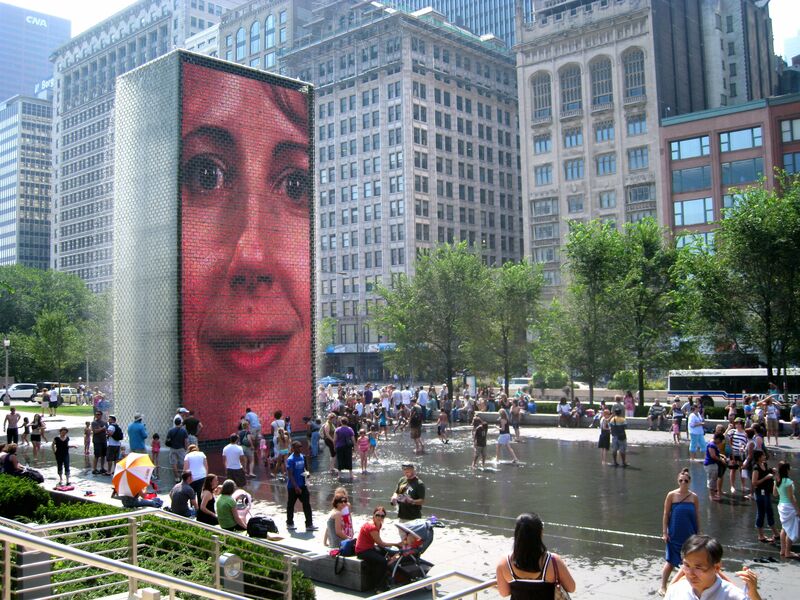 Skyscrapers and skylines aside, the other icon of Chicago is increasingly becoming its Millennium Park near the waterfront, the entrance to which is pictured above. I finally figured out why I love this park by the way- the modern art is actually cool here! What I mean is to most people modern art is something very silly and elitist that they don’t appreciate, so we often don’t stop to think about how much we love it when it actually isn’t these things. After all, without modern technology you could never create a giant pair of towers that squirt water and have an ever-changing series of faces, which I’m sure have some deeper meaning but everyone could enjoy on a hot summer day. The most famous piece of art in Millennium Park is, of course, The Bean (which is another one of those things in Chicago that I know has a “real name” but no one calls it that). 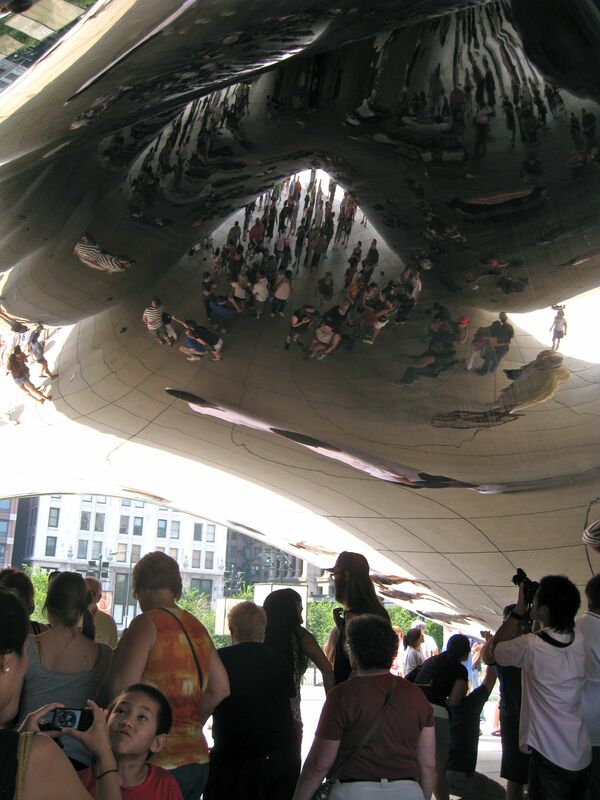 There’s just a perpetual crowd of tourists wandering around it and under it admiring the funky reflections that, frankly, you never could get without modern art and technology. Awesome stuff! Moving along from the modern art you of course have the Chicago Institute of Art just around the corner, where you can brush up on your classics. I’ve already written about the art inside (incidentally my Most Popular Post Ever- 2,500+ hits! 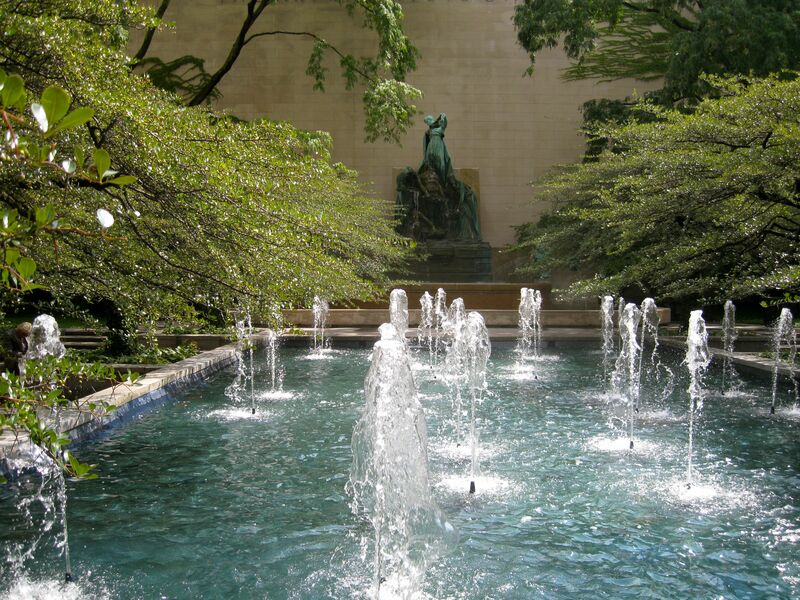 ), but it’s worth mentioning that it has a lovely little quiet sculpture garden as well if you want a reflective moment. A sort-of iconic moment in Chicago this summer- it turns out they were filming Transformers 3 all over the city, which is kind of cool the first time you run into it and less cool as the days progress and your navigation is forever hampered by the filming. Plus honestly I’m in a bit of a quandary now- it would be cool to see the movie and say “aha, I saw them filming this part!” here and there, but that would require seeing Transformers 3. Seeing as I stopped watching the first one about 20 minutes in when it was on a plane once you can guess what’s probably going to happen, but it was cool to see a “real” movie set! Last but not least here’s an iconic Chicago thing my friends and I ended up checking out thanks to a heads up from my friend Pat who lives in the city and gave us the heads up- roller derby, which was apparently invented here. 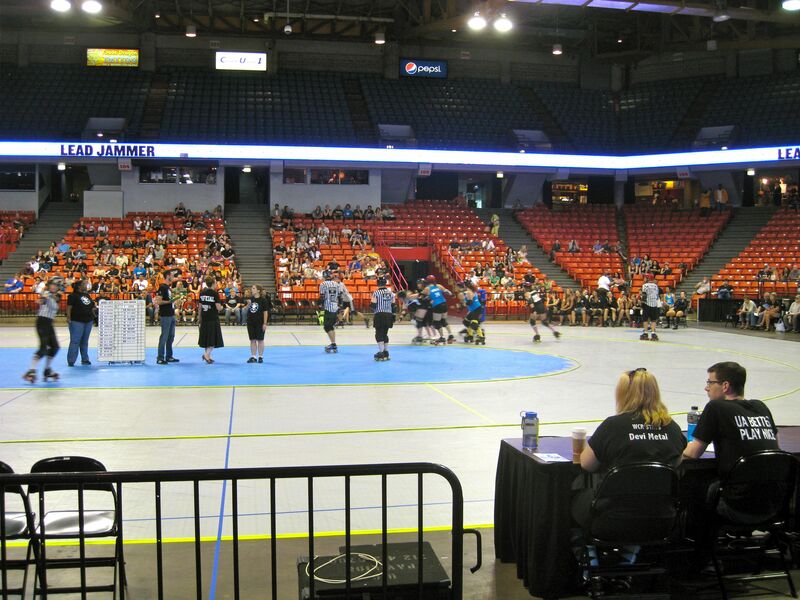 I’ve never seen a game before but the general rules are there are two teams and the “lead jammer” needs to pass as many people as possible and gets points for doing so, which means there’s a decent amount of strategy involved and lots of shoving and falling. I don’t think I could ever do it as it seems a bit intimidating, though it was fun to see and I can certainly understand why it’s a girls-only sport! And after that we went out for some deep dish pizza, which is more of a pizza casserole but is nonetheless (or by definition?) absolutely delicious. What a fun city! 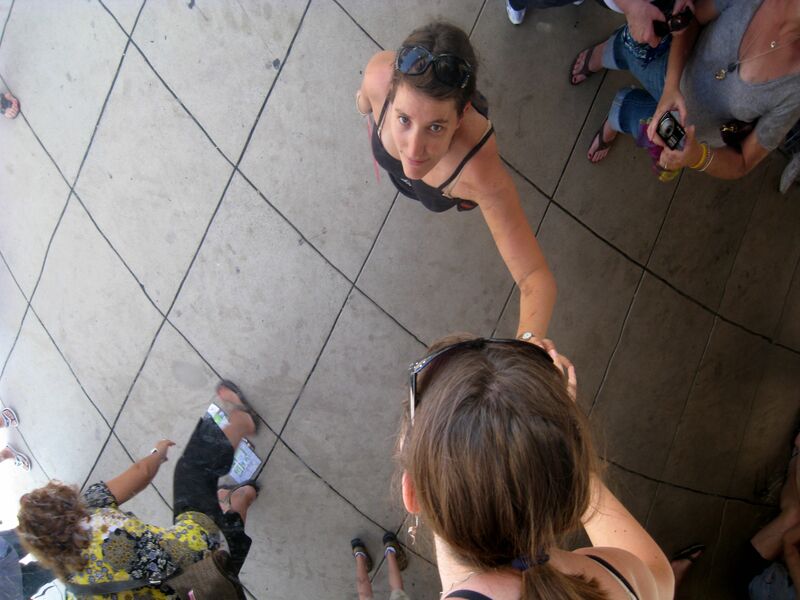 This entry was posted in America (United States Of), Illinois. Bookmark the permalink.